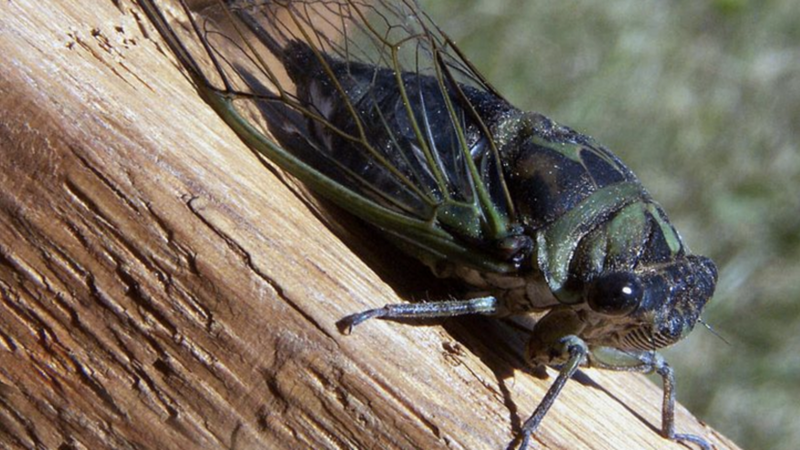 Billions of deafening horny male cicadas are about to descend on the northeastern U.S. Billions of noisy cicadas are set to emerge from the ground next month as a 17-year brooding cycle ends this spring and mature males begin seek mates. Cicadas are part of the Hemiptera order, which also includes aphids and plant and leaf hoppers. They spend between 13 and 17 years underground as nymphs and then, when the time is right, emerge from the soil at night into the morning hours and climb onto nearby vegetation or any vertical surface, according to Ohio State University. They then molt into winged adults. They are not harmful to humans or plants, although in years like this their sheer volumes can cause destruction. "Generally speaking, these cicadas will begin to emerge when the soil 8 inches beneath the ground reaches 64 degrees Fahrenheit," Cicada Mania says. "A nice, warm rain will often trigger a emergence. So, definitely May, but something might happen in April if we have a particularly hot spring." The Ashtabula Star Beacon in Ohio adds, "It may take about 5 to 7 days for the insect to dry and become active. And that is when the mating chorus begins and the sound can be deafening." Cicada Mania has the map showing the swatch of mid-northeast — and Suffolk County, Long Island — where this brood, known as Brood V, will emerge. There are seven species of cicadas, and this year's emerging brood will consist of three of them. Their common characteristics are black bodies 1.5 inches long with red eyes, and translucent, orange-veined wings. The first species is Magicicada cassini. Here is what they look like and sound like. Climate has likely played a roll in the timing and geography of brooding, so as the climate changes, the insect's life cycle could be altered, John Cooley, a professor at the University of Connecticut's Department of Ecology and Evolutionary Biology, told Scientific American. "Unfortunately, we don't have very detailed records of climate [and brood emergence]," he said. "We do know that they favor warmth and moisture. If it's warming up and getting damper, we could see them move north." There is a consensus that "billions" can be expected to emerge. But in 2013, the period for which the 13-year brood hatched, such estimates proved to be off. But even a few hundred thousand loud horny male cicadas are likely to be noticed.